Knitted kids’ hats make amazing gifts! Knit a warm and cozy beanie, pompom hat, or earflap cap for the holidays to keep your kids snug as a bug when the snow starts to fall. They’ll love the thick and bulky yarn used for warm winter hats when they’re out playing in the snow or jumping into piles of leaves on a crisp fall day. Back-to-school season is another great time to give the kids a new knitted hat. Kids are constantly losing mittens, gloves, hats and scarves. Come fall, you can never have too many new kids clothes. 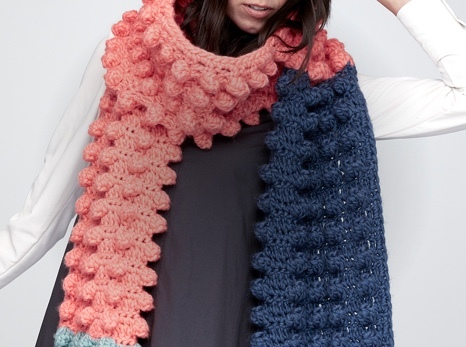 They can be quirky and fun or practical and warm. We have tons of different kids’ knitted hat patterns for back-to-school, the holidays and even costumes. Complete your kids’ Halloween costume with a jester hat, Hagar & Helga hats, or any fun costume hat. 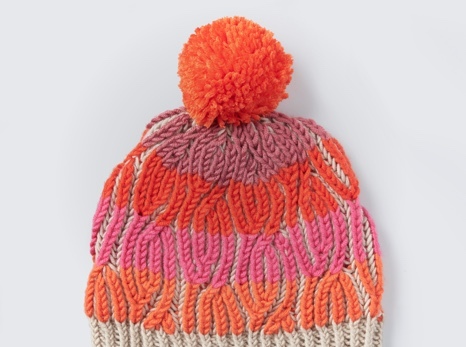 These adorable knit hats come in all different shapes, sizes, colors and patterns. There are designs for younger and older kids too. Knitted hats are a great way to get into knitting for beginners. 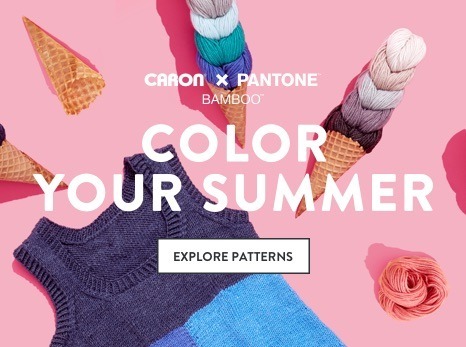 Start by checking out our Lookbooks for ideas for kids’ fashion and find a free knitted hat pattern that speaks to you. Our patterns come with instructions and takes you straight to the materials you need. You can order yarn online and have it shipped to your home in no time, so you can get straight to knitting. If you feel overwhelmed by the huge selection of yarn available at Yarnspirations, start with a free knitted hat pattern that you like. Everything is laid out for you so that you can focus on your hobby. Yarnspirations is here with all of your knitting needs, including yarn, needles, accessories, and free knitting patterns available for download. Get knitting today!